New York insurance regulators will reduce reserving requirements on term life policies by an estimated 30 percent to 35 percent starting in January. New York insurance regulators will reduce reserving requirements on term life policies by an estimated 30 percent to 35 percent starting in January, but will do so by formulas rather than the “principles-based-reserving” (PBR) approach being considered by the National Association of Insurance Commissioners. 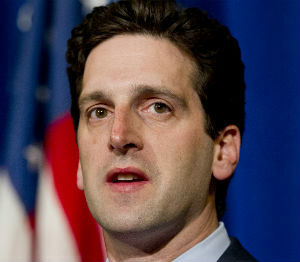 The NAIC is being informed of the decision of Benjamin Lawsky, superintendent of the New York Department of Financial Services through a letter written today. Lawsky’s action was timed to be in advance of the NAIC Spring Meeting, now underway in Orlando. It is unclear whether the move will result on lower pricing or higher profits for insurers on term life products. Lawsky released the letter in advance of an appearance this evening at the Life Insurance Council of New York’s (LICONY) 13th Annual Legislative & Regulatory Conference in Cooperstown, N.Y.
For example, that for some specific products, “I wouldn’t necessarily disagree that reserves may be conservative relative to historical experience regarding payouts,” Lawsky is scheduled to say. In the letter, Lawsky said the next step for the DFS will be to update the formulas for universal life insurance policies with secondary guarantees. An official at an insurer that will be affected by the change said the industry will likely support it. “We agree — as does most of the industry — that term reserves are too high and this DFS move is a step toward fixing that problem,” the official said. As to secondary guarantees on universal life policies, the official said there is “less consensus” within the industry on the level of redundancy on those reserves on UL-secondary guarantees. According to Lawsky’s letter, the updated reserving formulas for term life insurance policies will be effective for new business written after Jan. 1, 2015. The letter said the modifications in the regulation will reflect actuarially sound and evidence-based adjustments regarding mortality data and expenses in acquiring and retaining business for that product. With regard to mortality, Lawsky said the changes are consistent with evidence that policyholders are generally living longer. He said the DFS will apply a 1.0 percent mortality improvement factor to the current mortality table (2001 CSO) for rates associated with calendar years 2008-2047, and a 0.5 percent mortality improvement factor for each year thereafter. These factors will apply during the initial level premium period. In addition, DFS intends to introduce a two-year “full preliminary term,” as opposed to the current one-year FPT, to reflect the fact that the upfront expenses for acquiring and retaining term life business are relatively higher as a proportion of premiums paid than for certain other types of business (such as whole life policies). Under the proposal, a two-year FPT will lead to a buildup in reserves after the second policy year.